A simple tip to making a boring background interesting is to add a bit of color. Instead of using colored gels, i'm actually using color changing LED lights. You can see an example of how I've added a blue wash on the background with my FREE Manfrotto Monopod Give Away video (below). The best part is that with a simple swipe on my iPhone, I can literally change my background to a million different colors. So how is this all done? 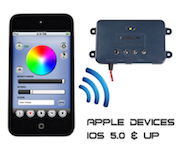 Well, i'm going to show you a fun and easy way to create a DIY Wireless LED Light that can achieve millions of colors, and can all be controlled wirelessly through your iPod Touch, Tablet, or Smart Phone. 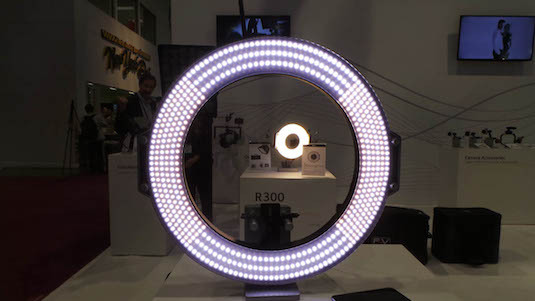 The color wheel in the App allows you to blend the RGB LED lights to a variety of creative colors, control brightness, and even control the speed of sweeping (color changing) effects. 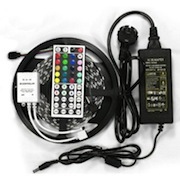 The only downfall to this kit is the long cables, but there are smaller units available for interior lighting. 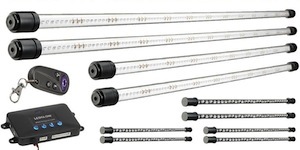 These kits can be purchased in small 2, 4, or even up to 10 LED bars. 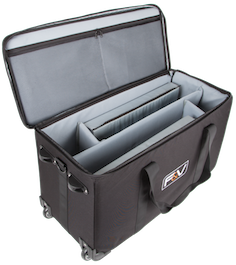 Lots of fun, easy to setup, and with your imagination i'm sure you can figure out some very creative ways to use these. I would love to hear what type of ideas you guys come up with (comment below). Check them out via Amazon and eBay (below). 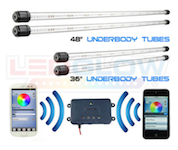 If you're not afraid to dabble in DIY another really great option are these RGB Color Changing LED Light Strips can be purchased for dirt cheap in a variety of lengths (or rolls). Wondering what to do with LED Strip lights? Here's a DIY LED light video using a common reflector from YouTube member Taylordfilms that will give you guys an idea on how to use LED strip lights. Some of these LED Strips will come bundled with the remote controller to switch to dozens of colors (found here). 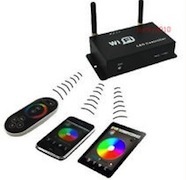 If you really want the Wifi feature there are options for special RGB LED Wifi Controllers. Some appear to use a full Wifi SSID (not bluetooth) for extended range. 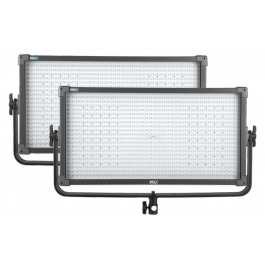 Check out some of the other Wifi LED Remote options to DIY your own million color backdrop (found here). 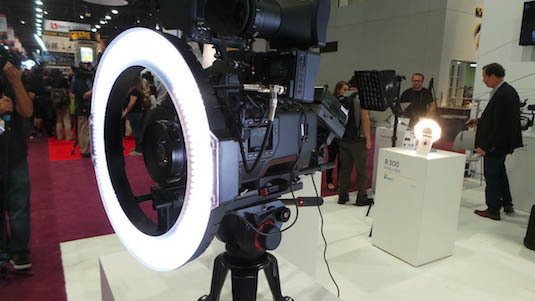 Posted in dslr video, LED video lights, Lighting. 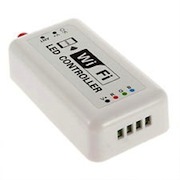 Tags: Bluetooth LED, DIY LED panel, iOS Android Wifi LEF, Wireless LED Light on June 4, 2013 by Emm.